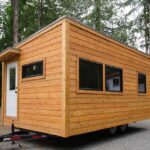 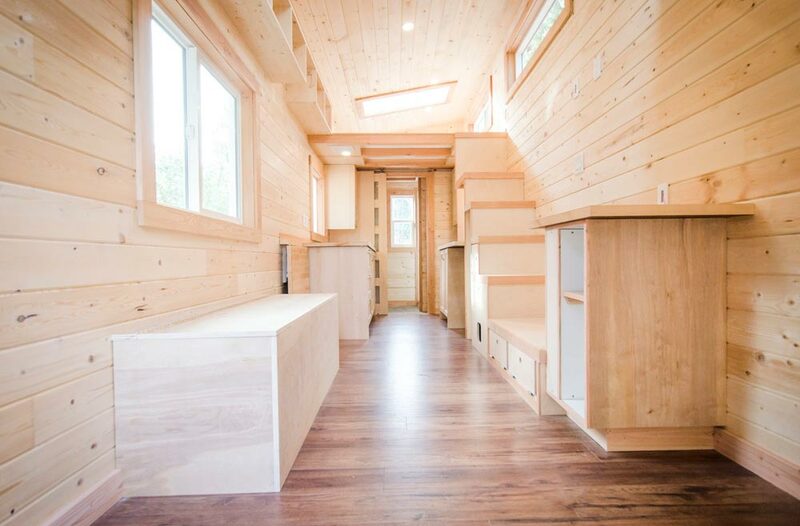 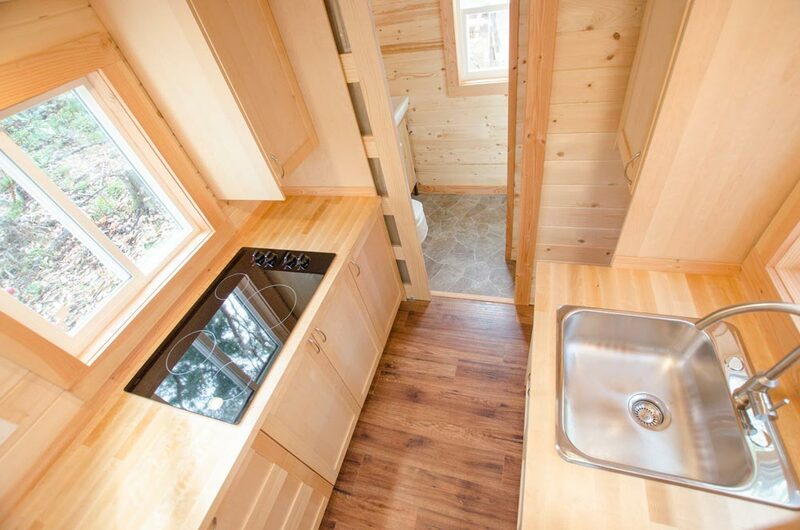 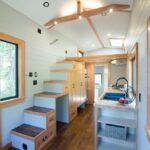 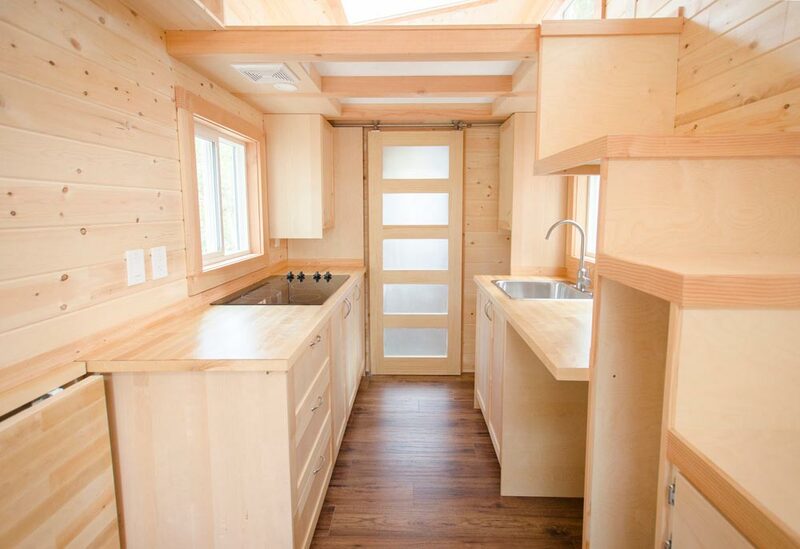 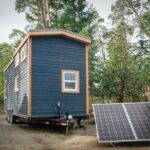 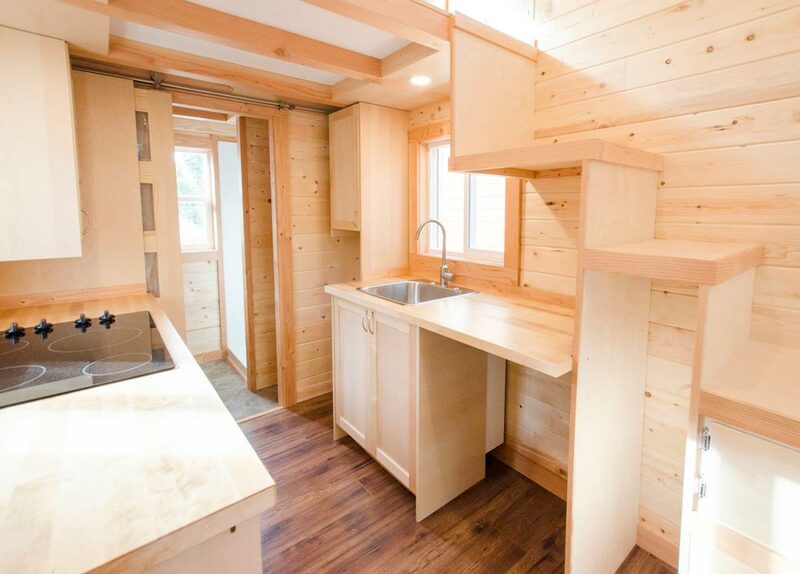 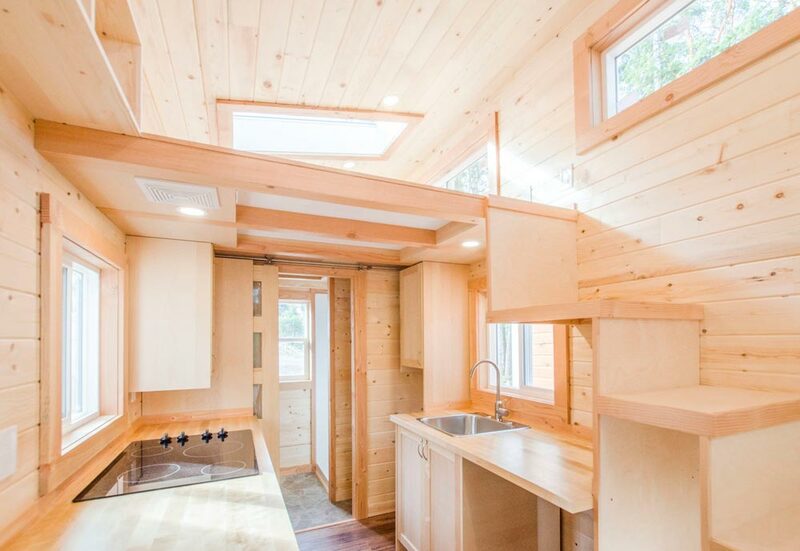 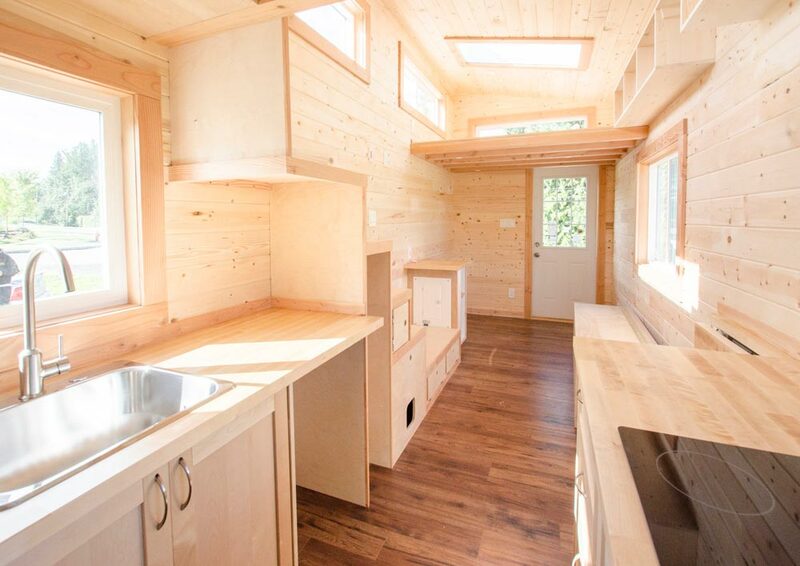 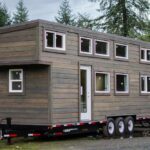 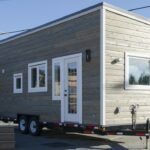 The Warbler is a 24-foot tiny house on wheels from British Columbia-based Rewild Homes. 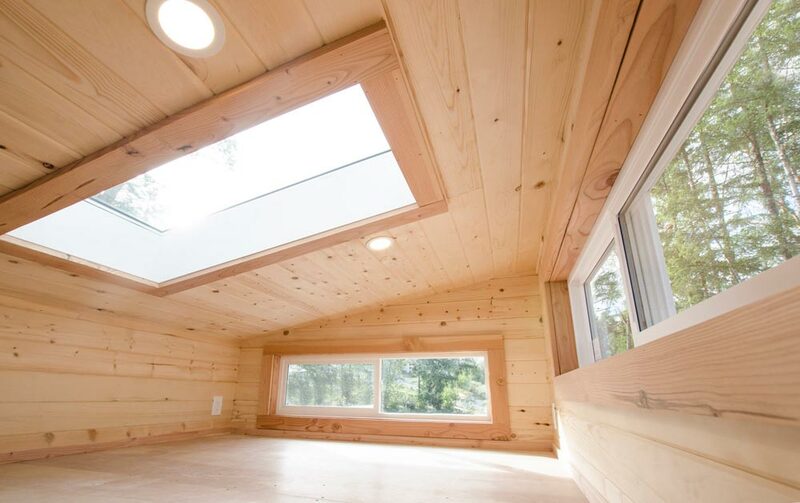 Clerestory windows and two skylights allow for plentiful natural light. 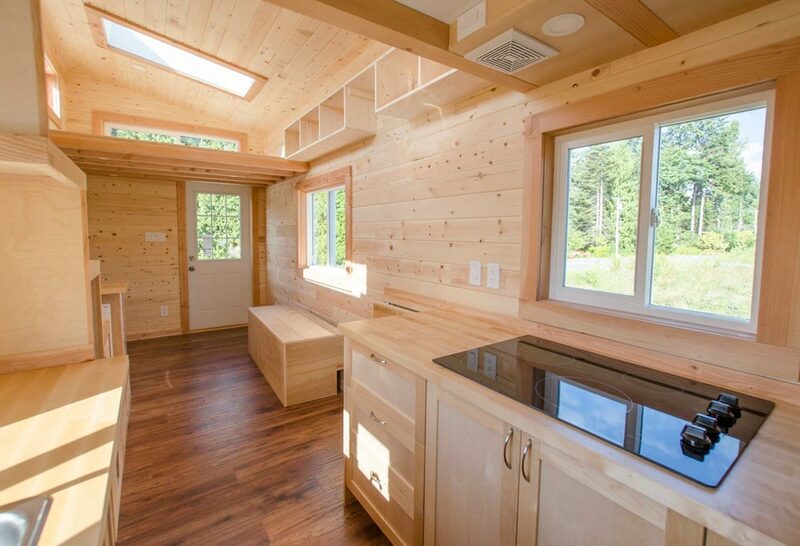 The warm wood interior gives the house a cozy cabin feel. 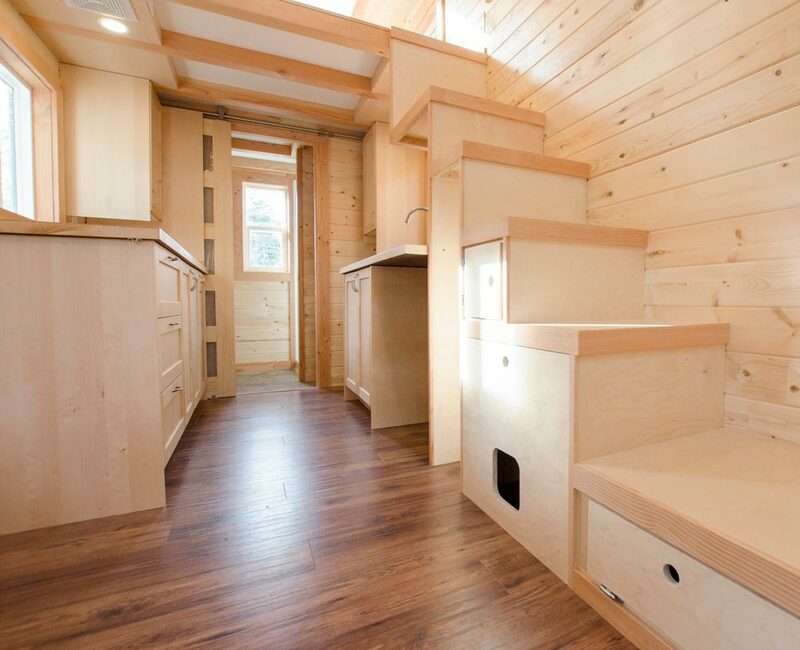 In the living room is a storage bench and upper cubbies. 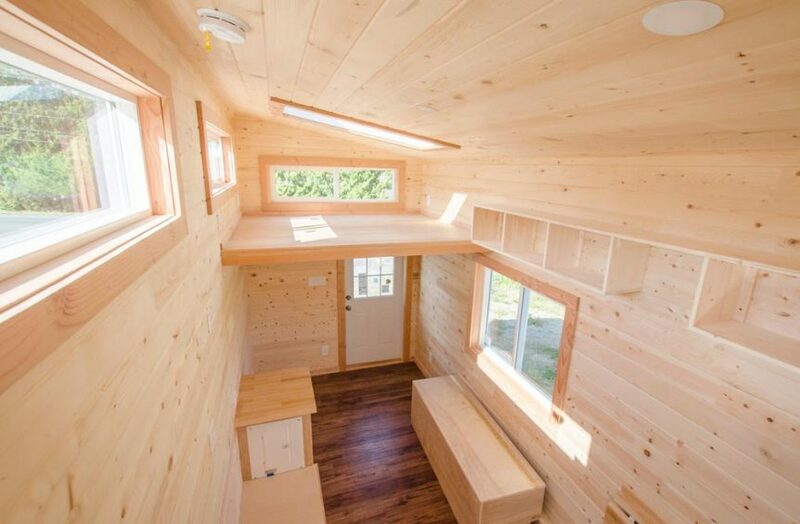 There are two lofts in the house: the master bedroom loft and a guest loft. 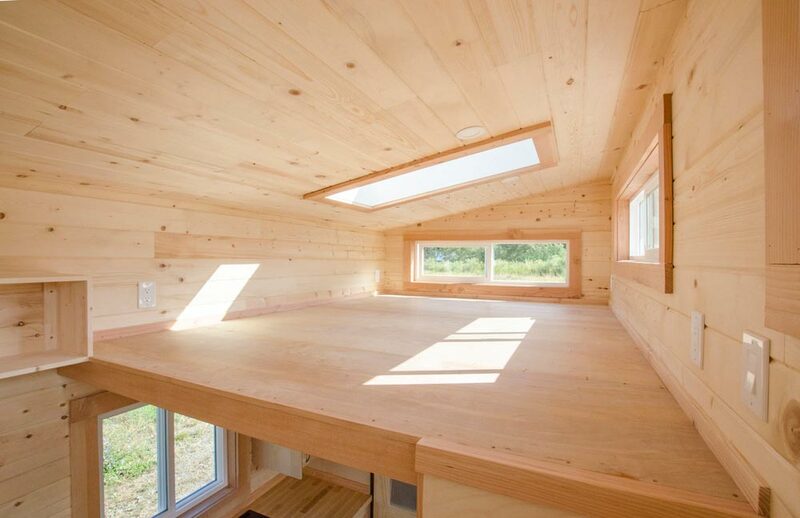 Both lofts have a skylight and storage stairs lead up to the master loft. 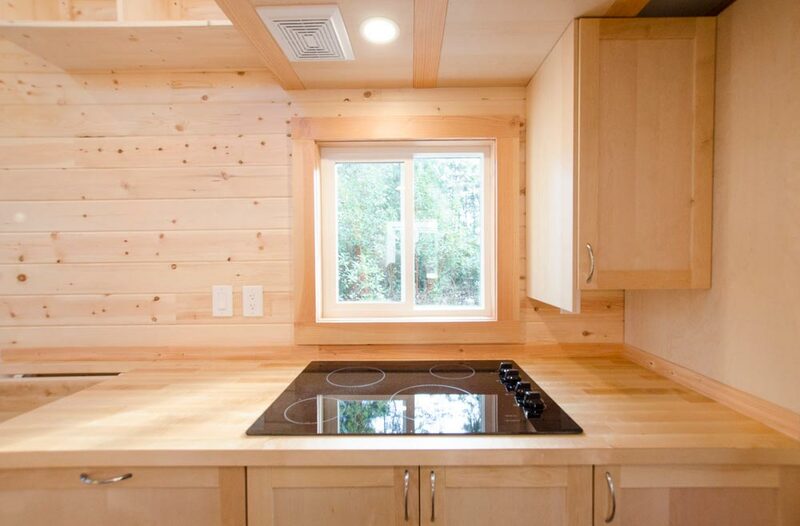 The galley kitchen features soft close drawers and cupboards, an electric cooktop, stainless steel sink, and room for an under-counter refrigerator. 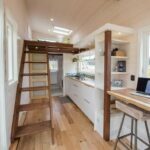 A fold-down table sits between the kitchen and living room. 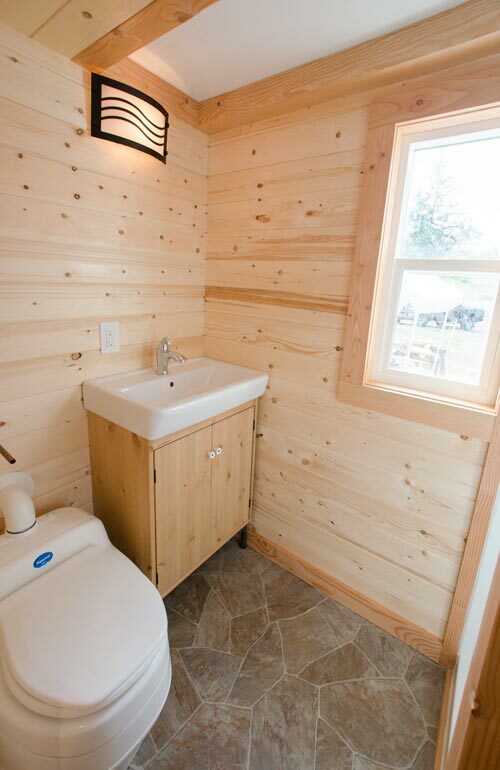 A barn door leads into the bathroom where you’ll find a tile floor, tile shower, compositing toilet, and vanity.